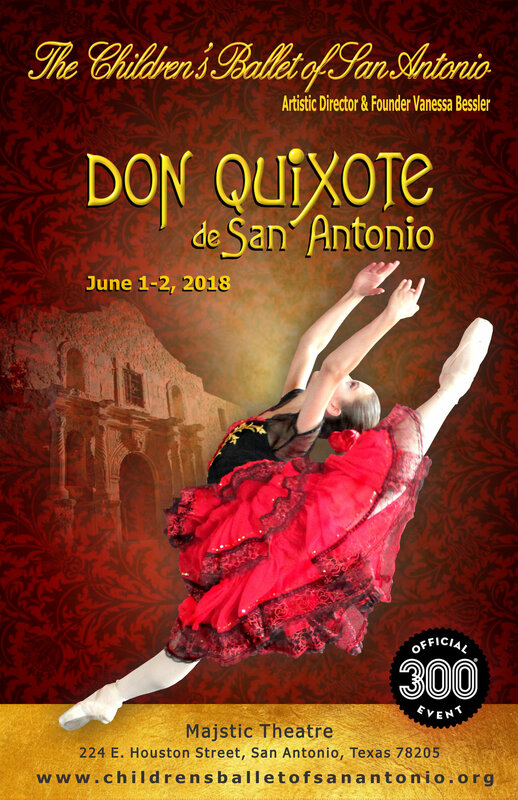 Join DCSA dancers, along with many other dancers from the local San Antonio area, as they perform with the Children’s Ballet of San Antonio in Don Quixote de San Antonio! Featuring a talented children’s cast of young artists, ranging from ages 3 to 19, the Children’s Ballet will present a brand new production based on the classical ballet Don Quixote that celebrates San Antonio’s unique history. Don Quixote de San Antonio will be a part of the Tri-Centennial celebration as an official 300 event. We hope that you will join us in celebrating our city! For more information and to purchase tickets please visit the Children’s Ballet of San Antonio website!